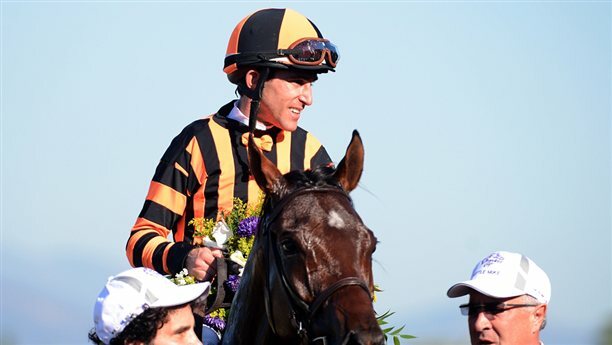 Three-time Eclipse Award-winning jockey Ramon Dominguez has retired due to the severity of injuries sustained in an accident at Aqueduct Racetrack Jan. 18. The 36-year-old rider was unseated when his mount, Convocation, stumbled and fell while tossing his rider to the inner dirt track in the day’s seventh race. 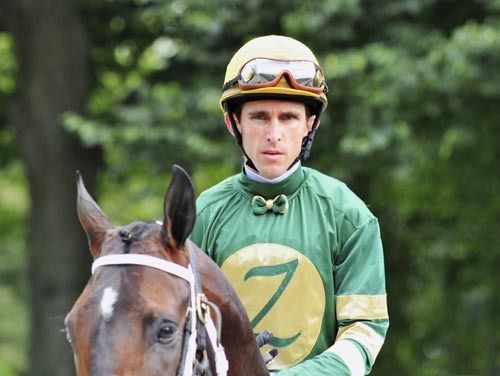 Following the spill at Aqueduct, Dominguez was hospitalized with a fractured skull and spent time in the Intensive Care Unit at New York-Presbyterian Hospital/Weill Cornell Medical Center. He was transferred to Burke Rehabilitation Hospital in White Plains, N.Y. for inpatient brain rehabilitation therapy. Dominguez initially expected to make a comeback, but was advised by physicians to end his career. “Riding Thoroughbreds has always been my passion and my calling,” Dominguez said in a press release. “When I was 13 and watched my first horse race in Venezuela, I knew that I would become a jockey, and my riding career has brought happiness and success beyond what I ever expected. Dominguez, who has two young sons with his wife Sharon, retires 15 wins shy of 5,000 victories with career earnings of $191,615,698. His mounts won at a 23% rate, finishing in the top three 56% of the time. He rode three Breeders’ Cup winners—Little Mike (2012 Breeders’ Cup Turf), Hansen (2011 Grey Goose Breeders’ Cup Juvenile), and Better Talk Now (2004 Breeders’ Cup Turf). He was also the regular rider of 2011 Horse of the Year Havre de Grace and champion Gio Ponti . Other top mounts included Bluegrass Cat , runner-up in the 2006 Kentucky Derby presented by Yum! Brands (gr. I), 2004 Preakness Stakes (gr. I) runner-up Scrappy T, and 2010 Belmont Stakes (gr. I) third place finisher First Dude . The jockey enjoyed a banner year in 2012, leading the nation in earnings with $25.6 million to surpass Hall of Famer Jerry Bailey for the single-season record for seasonal North American earnings by a rider. Bailey set his top seasonal earnings mark in 2003 when his North American mounts secured $23.3 million in purse earnings. Dominguez topped the New York Racing Association riding circuit for the fourth straight year with 322 victories in 2012, and was also the winner of the George Woolf Award, bestowed by his peers for excellent conduct and given by Santa Anita Park. A native of Caracas, Venezuela, Dominguez came to the United States in 1995 and built his reputation as a kingpin on the Mid-Atlantic circuit. He won multiple titles at Laurel Park, Pimlico Race Course, and Delaware Park before moving his tack to New York full time in 2008. He led 20 individual meet titles on the NYRA circuit while dominating the standings from 2009-12. Agent Steve Rushing managed his book. “All of us at NYRA are saddened to learn that Ramon Dominguez has been forced to end his riding career,” said NYRA vice president and director of racing P.J. Campo. “He won numerous meet riding titles and many of our top races en route to becoming New York’s leading rider for each of the past four years.